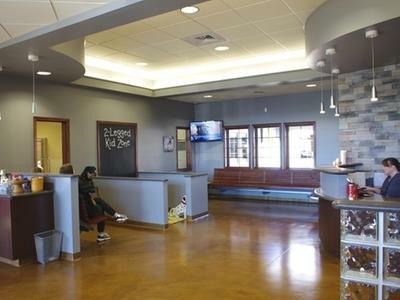 Office Tour | Country View Pet Hospital Inc. Welcome! 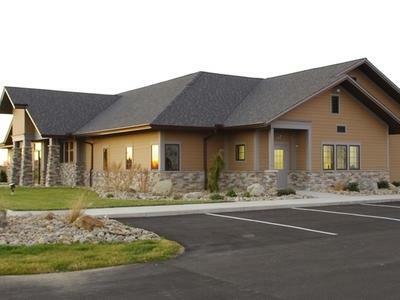 Come take a tour of our state-of-the-art clinic! 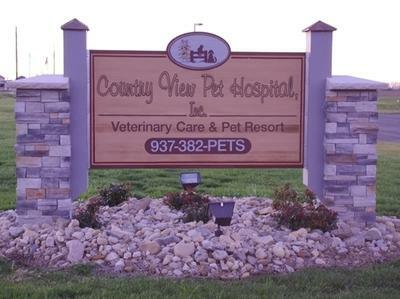 With veterinary care for pet and farm animals, a pet resort, and state-of-the-art veterinary hospital all under one roof- Why go anyplace else? 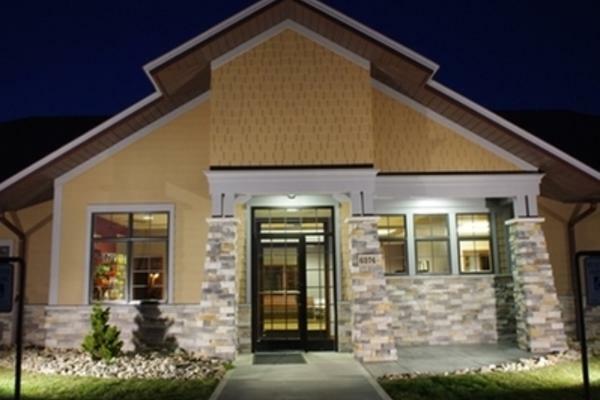 You will find that our employees have the same warmth as the details of our architecture. 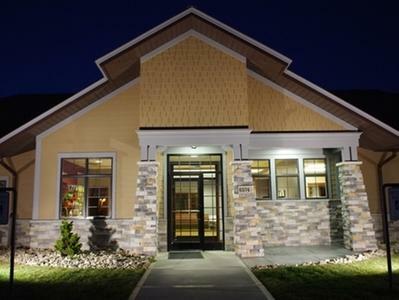 After all, it is your pet's home away from home! 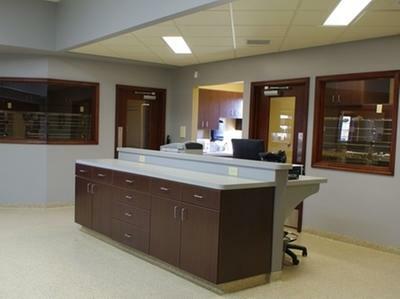 Our private entrance allows pets suspected of contagious diseases to come in separately away from the rest of our patients. 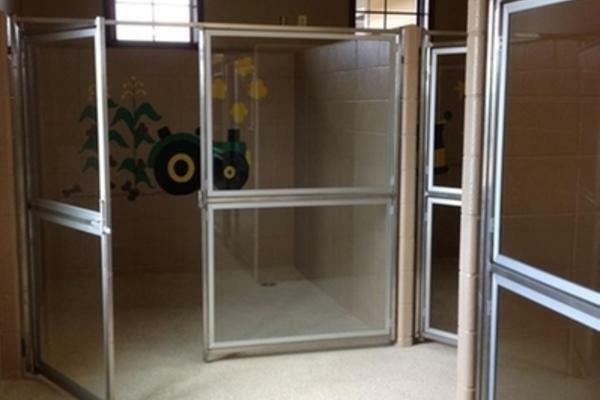 This private entrance also allows our pet owners some much-needed privacy during difficult times. 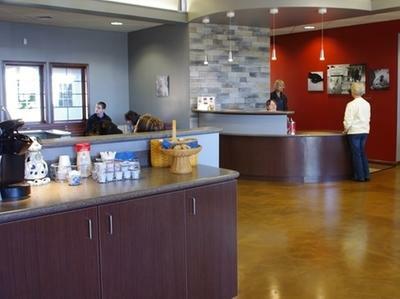 Meet with one of our friendly client service representatives or relax with a nice beverage while you wait. 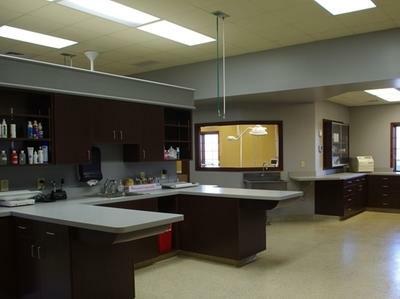 Allow us to serve you- it's a lot of work to bring a pet to the vet! Your wait time is already short, but it will seem even shorter as you watch Animal Planet or observe the groomer through the window styling one of our guests. Want something with a little more excitement? Go to the far window and watch Doggie Daycare or to the bank of windows to observe dogs in our courtyard. There's always something to see. 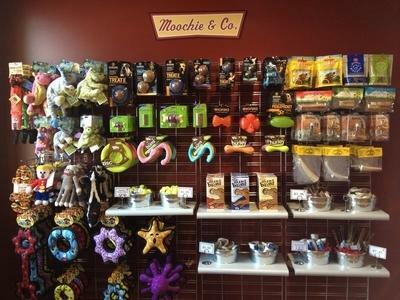 Does your pet need a little retail therapy after his or her visit? No worries! 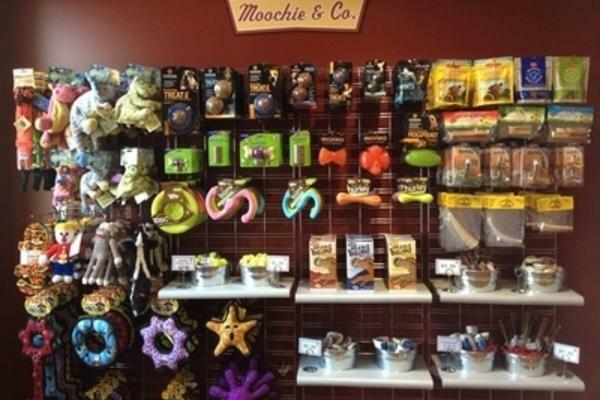 Spoil your friend with a great gift from our Mini Moochie store! 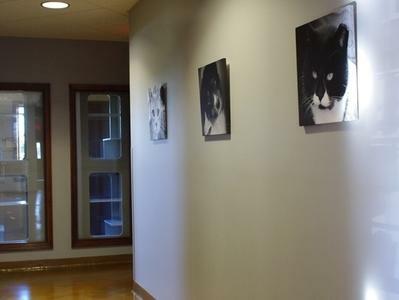 All of our canvas photos are pictures of staff pets or patients taken by our very own Elaine Carman. 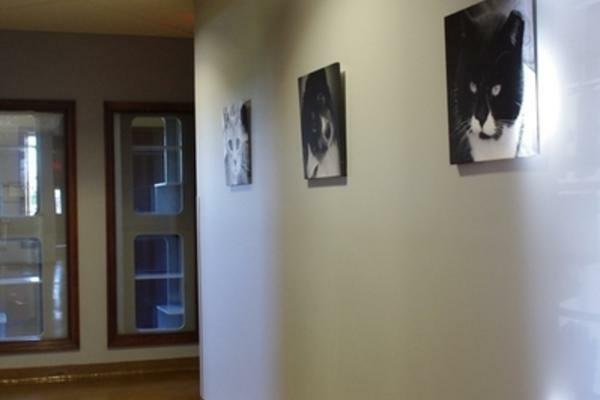 Beyond the photos are the windows looking into our boarding cat condominiums. 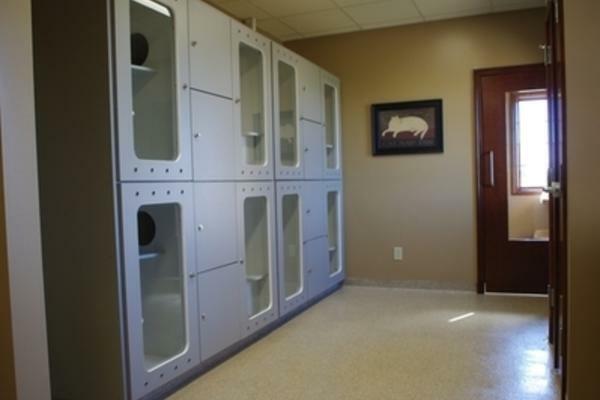 Our feline boarders enjoy individual cat condos with separate ventilation to prevent disease transmission. 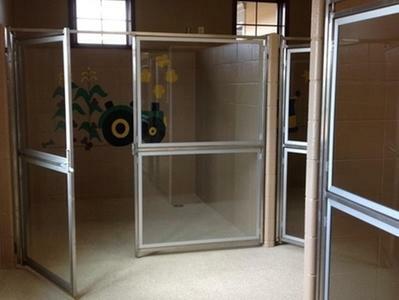 If your cat is outgoing, choose a condo with a view into our reception hallway. There are more private condos for our shy guests. Cats in the same family enjoy alone time in individual condos, but can interact with a housemate in our "Lucky Cat Lounge," seen here through the door at the end of the room. 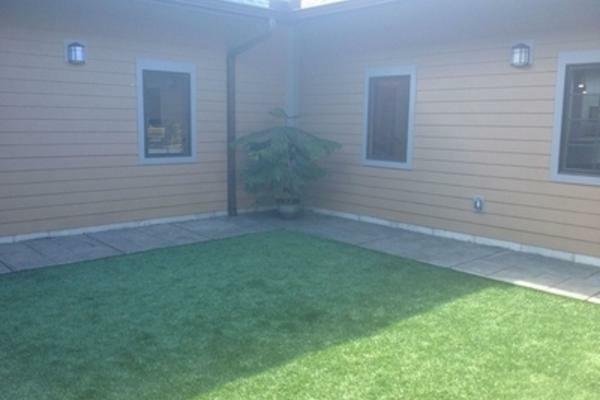 In this area, cats can relax in the sun and watch the birds at the feeder or play to their hearts' content. 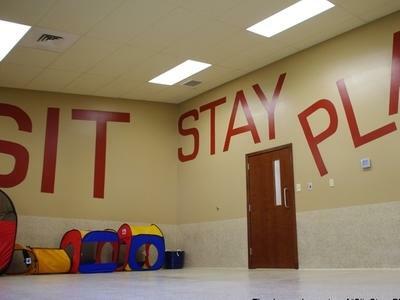 Dogs can choose to sit, stay, AND play as guests in our daycare. 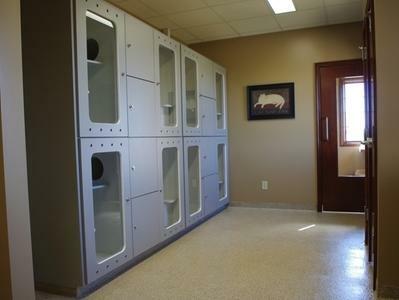 Each dog has his or her own "daycare den" for the day when resting in between play sessions. Boarders also join us for half-day sessions during their stay. Everyone has their favorite! 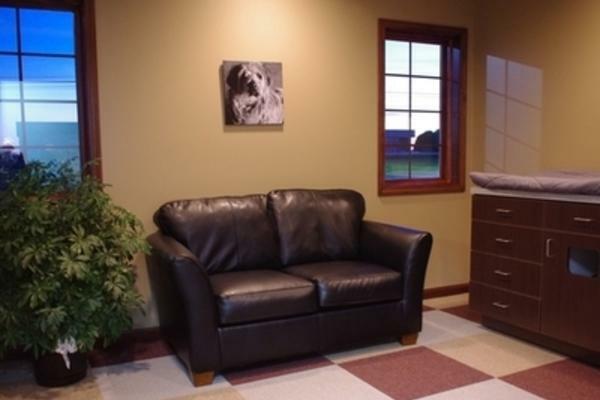 This is one of our suites- The Pupcorn. 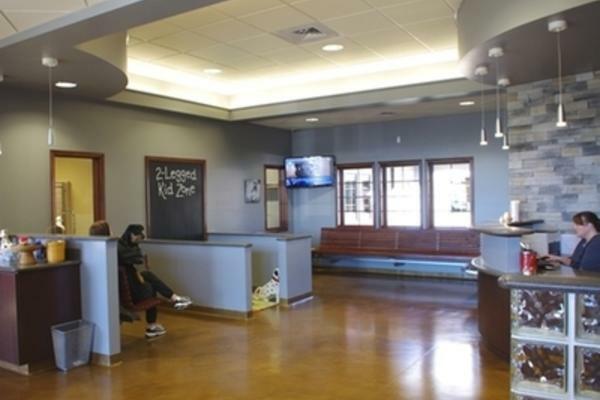 Dogs residing in our suites enjoy their own television and owners enjoy a webcam to check in. Pets staying in our flats and suites also relax lounging on raised dog beds while receiving lots of TLC from our staff. 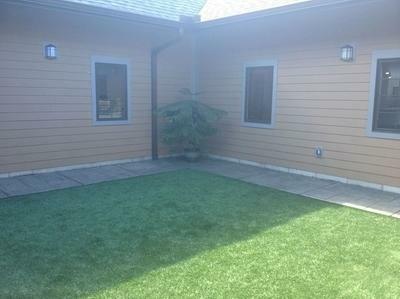 Our pet resort guests and hospitalized patients are safe to explore in our enclosed, open-air courtyard. 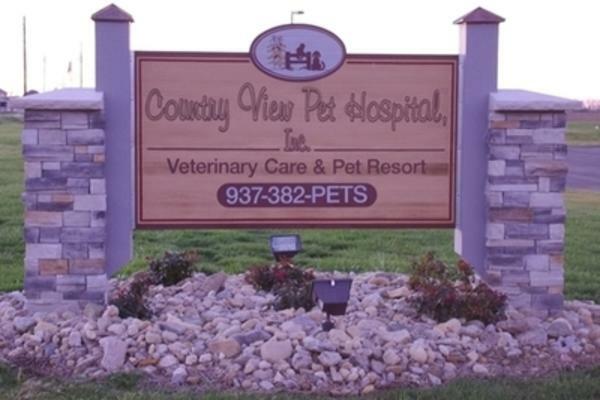 Your pet will be safe when staying with us, while being attended to by one of our staff members. 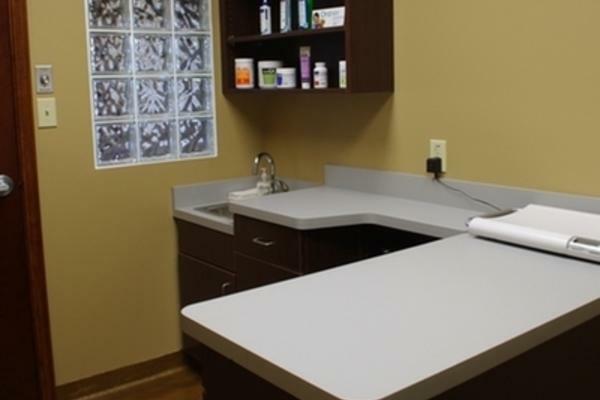 Take time to have all of your questions and concerns addressed during your private consultation with our medical staff. 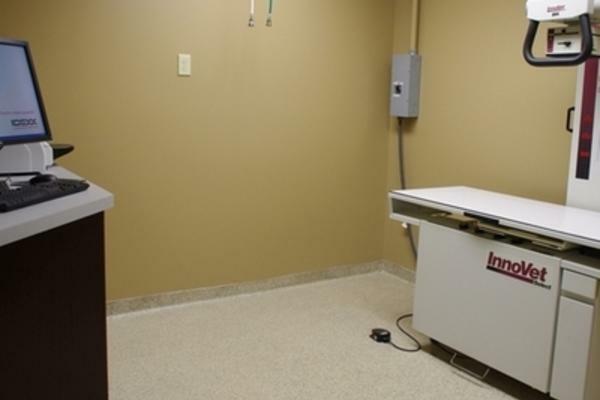 Because we are computerized, we also have the ability to check clients out in the exam room for more convenience and privacy. 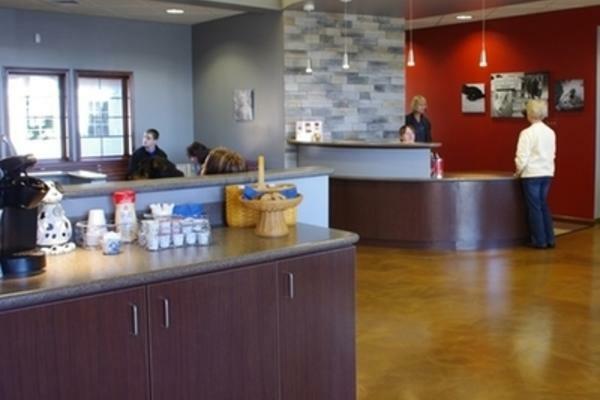 Our treatment area, otherwise known as "the back," can be viewed from our waiting area. 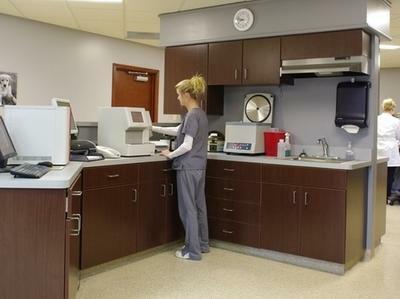 This is where we perform many of our technical services like sample collections. 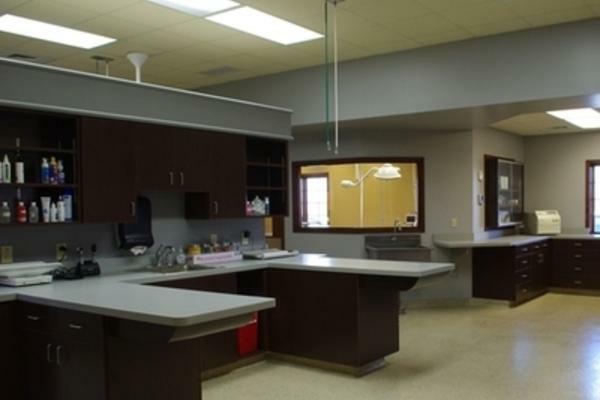 We can perform many services in our exam rooms with the owner present, but some tasks are better left to this area. We have digital xray, providing more high quality images with the advantage of immediate referral to a Veterinary Radiologist when needed. 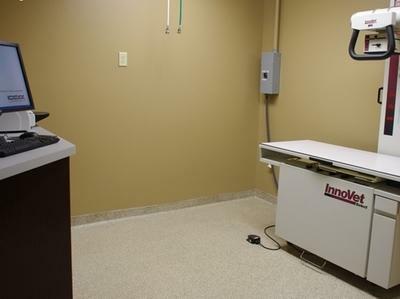 Our radiology department also houses an ultrasound unit. 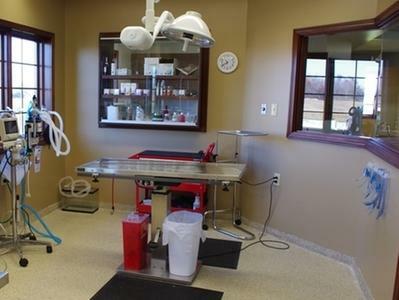 Our technician station is located just outside the hospital wards- separate for dogs and cats- so that recovering and ill patients can be monitored closely. 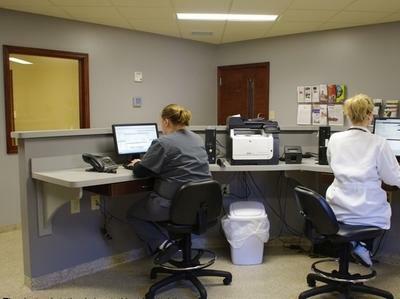 Our doctors' station is situated just beside the window to our isolation room for close observation. Hospitalized patients that have a contagious disease are kept separate both physically and by a separate air exhaust from the isolation area. This allows contaminated air to be eliminated from the building, preventing mixture with room air of the general population of patients- vital in disease control. 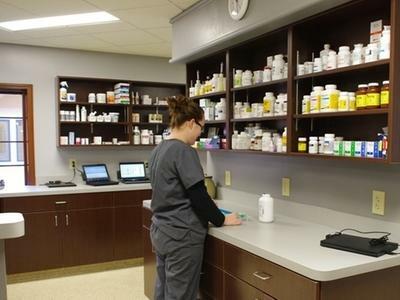 We house a comprehensive in-house pharmacy so that your pet's medicines can be filled at your visit. 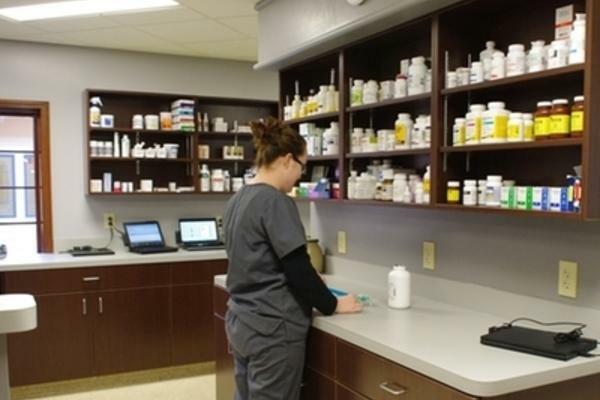 We also have an online pharmacy. We would encourage that you purchase products from us, rather than shop other outlets. 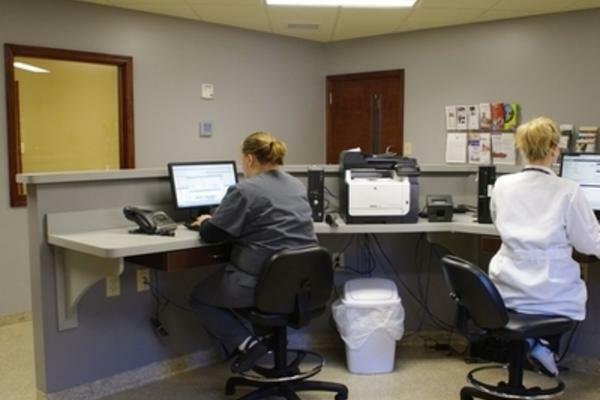 Our in-house and online prices, especially on common parasite preventatives, match- if not beat- chain store online prices. 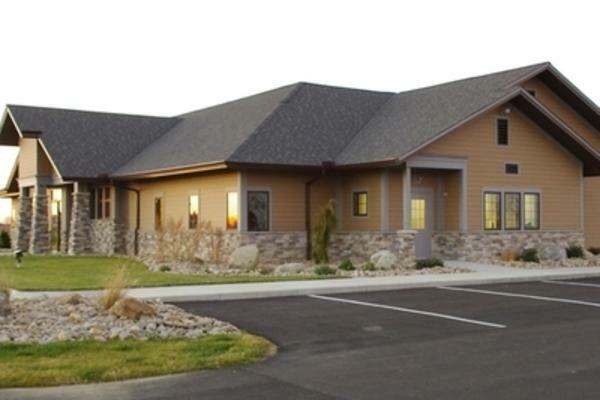 We want to be the source of your pet's healthcare needs so that if your pet has a problem, we can address it in a knowledgeable and timely manner. Visit our home page to shop our online store. The loss of a pet is a difficult time. That should not be compounded by a stressful wait or unwanted interactions while a pet owner is upset. 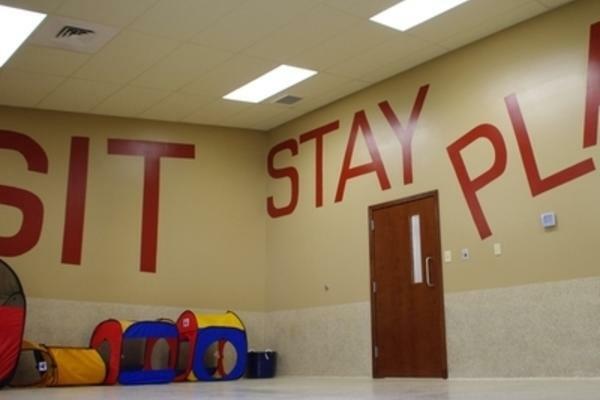 Our comfort room has a private entrance that leads out a side entrance. 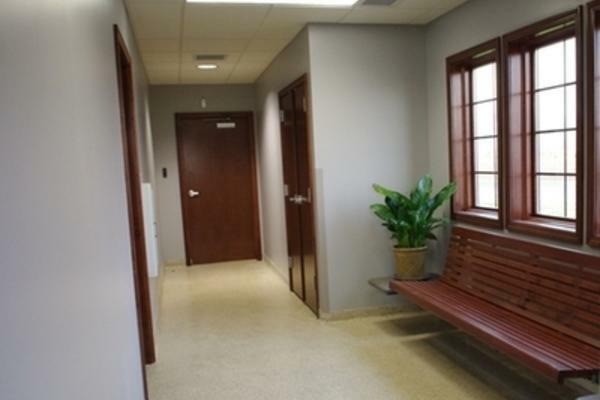 Owners can wait in a private waiting area when necessary and can sign all consents and check out right in the room. We want your precious moments with your beloved pet to be peaceful. 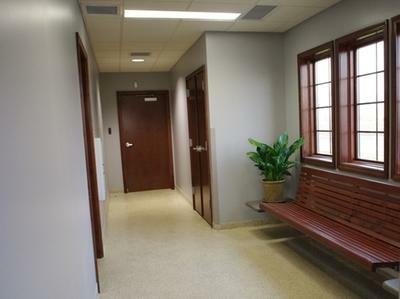 Our private waiting room serves our isolation and comfort rooms and allows owners a quiet wait with no interruptions. 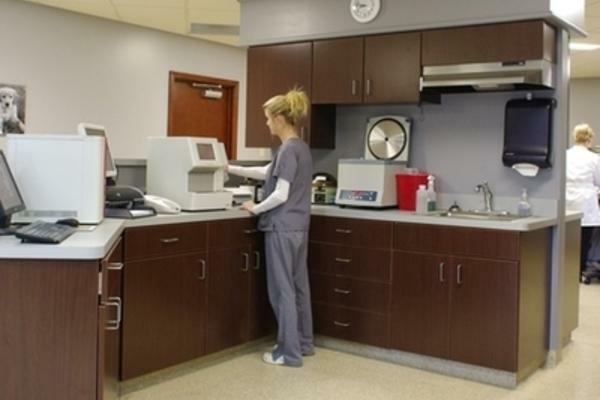 We are able to run most diagnostic tests in-house with our extensive laboratory. 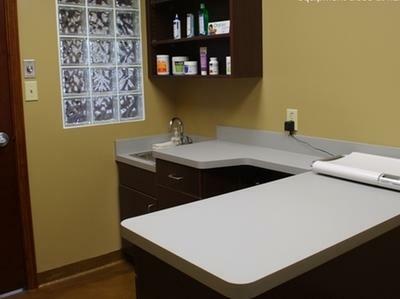 Results are ready before you leave your appointment. Less wait, less worry. Some tests are performed at our outside laboratory, with most results being available within 24-48 hours. 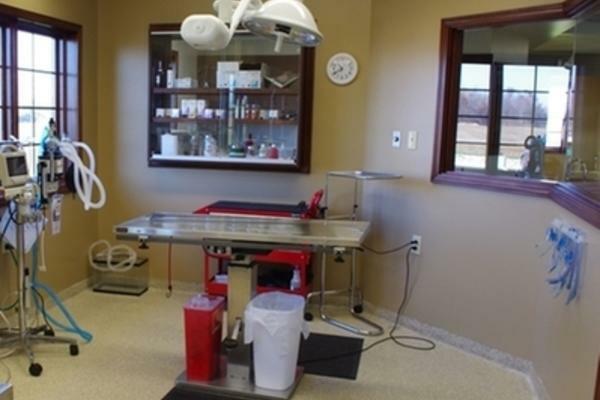 Our surgery suite is equipped with isoflurane gas anesthesia, a heated surgery table, and high-tech monitors for patient safety. 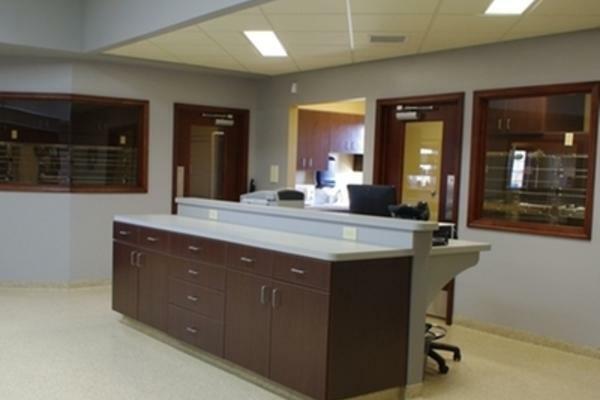 Surgery can be viewed through windows from the treatment area.